Why do you need a fast WordPress theme? It’s all about user experience, the faster your site runs the more visitors you will get, simples! If you have a theme or framework that is well coded and super fast loading, that will translate to a great user experience on your WordPress website. 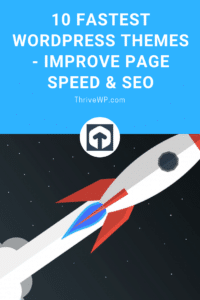 This will also have a positive knock-on effect on your SEO, yes website loading speed is a ranking factor! We have test 10 of the very best and fastest WordPress themes out there today. We have tested them on both Google Pagespeed insights and Pingdom, you can view the themes and scores below. It is also worth noting that Google is now taking a mobile-first approach, so the importance of a mobile-ready website is huge! Note that the scores are a rough guide only as these scores depend on many variables. Need more help Choosing a WordPress Theme? Point is a FREE fluid responsive theme that is multipurpose and flexible. Through the advanced options panel, you can choose from multiple site layouts, backgrounds, and color schemes, as well as control specific features of the theme. 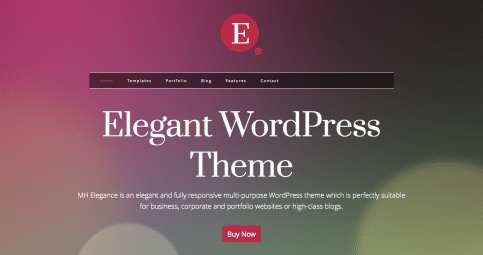 MH Elegance WordPress Theme is an exclusive, unique and beautiful WordPress theme for all kinds of purposes. 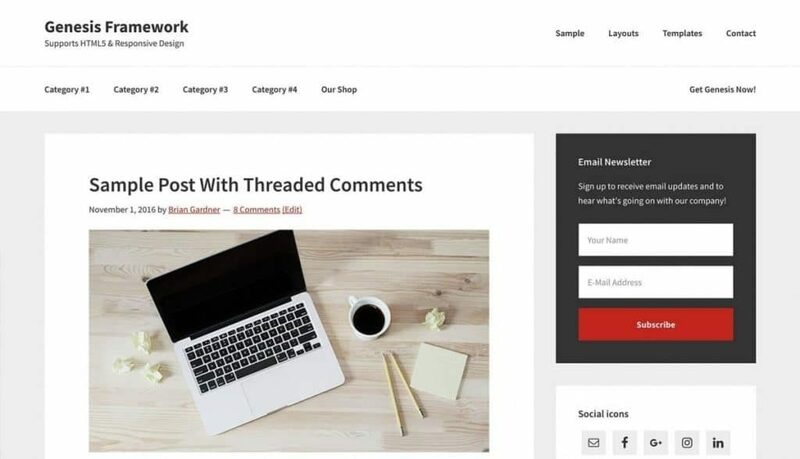 This WordPress theme is suitable for business websites, high-class blogs, unique portfolios or creative websites. Showcase and present your content in an elegant and sophisticated way and benefit from a sleek and clear-cut design. EASY LAYOUTS Tonnes of options for simple background/overlay management, with boxed or extended appearance. A SLIDESHOW ON EVERY PAGE Full support for full-width slideshows, and captions. PHOTO ALBUMS Create albums and photo galleries like a breeze and display them in the best way possible. WOOCOMMERCE INTEGRATION Sell anything you want thanks to the full support for the WooCommerce plugin (2.1.x and up). Unlimited header styles, unlimited page designs, unlimited footer layouts. All drag & drop, perfectly user-friendly with super quick live appearance customization. Best SEO WordPress theme 2015 with drag & drop content creator included SEO WP theme based on the Live Composer page builder (premium plugin included with our theme for free). You create and edit pages in the front-end using a drag and drop interface. No messy shortcodes needed/included. No other page builders (like Visual Composer) supported. Schema is the fastest loading, ultra-SEO friendly WordPress theme. Featuring all the best MyThemeShop features, including our custom options panel, all our shortcodes and widgets, and a pixel-perfect design, Schema also includes rich snippets in order to help search engines your site and rank you higher. The Newsmag template is excellent for a news, newspaper, magazine, publishing or review site. It also supports videos from YouTube and features a rating system. It uses the best clean SEO practices, and on top of that, it’s fast, simple, and easy to use. In addition, News mag supports Responsive Google Ads and AdSense. Best is a responsive WordPress theme that features an engaging design that is fully fluid responsive, loads incredibly fast is fully customizable, and optimized both for search engines and advertisers. It also includes an awesome review system and support for our new MegaMenu plugin! The challenge of any magazine theme is to take massive amounts of content and present it to the reader in a clear and structured manner. Nexus achieves this through a strict grid, typographical hierarchy and a clean layout that gives each element just enough room to breathe.